New colors of graduated necklaces are on deck! 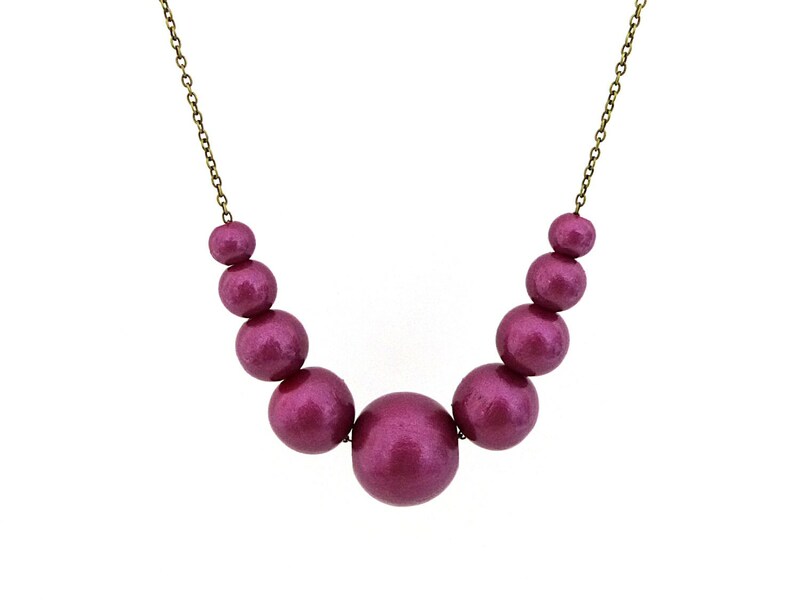 Give a warm embrace to fall in your style with this unique shimmery plum/berry/purple beaded necklace. Your necklace will arrive in an organza bag, perfect for gift-giving! Need more than I have listed? Want another color? Different chain? No problem, just convo me! All my jewelry is able to be remade and modified in any way you'd like.